Bowhunt America magazine is the fastest growing bowhunting magazine in the country and is a must-read for the serious bowhunter. 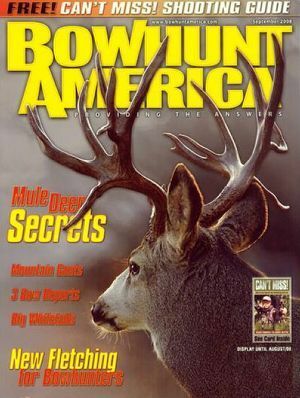 Each issue of Bowhunt America magazine has insightful articles on today's bowhunting equipment and on the latest secrets and techniques to bow hunting. Bow Hunt America magazine profiles how bowhunters can have more fun, enjoy their sport and equipment and do better in the field.